Entrepreneur, investment guru, and television personality Kevin O’Leary says the choppy financial markets in North America shouldn’t cause investors to run away. Instead, he says, stock investors should be looking at these times with opportunities in mind. Never put more than five percent of a portfolio into any one investment. Stocks and bonds can both lose a lot of value during unpredictable situations. This rule automatically implies that a portfolio should have at least 20 holdings in it. This may sound difficult to do for beginning investors who are just getting started, but this is why many people prefer to buy mutual funds or ETFs as a perfectly viable alternative to picking and choosing individual stocks. These funds will allow someone to own a basket of stocks or an entire index to broadly diversify one’s portfolio. Never put more than twenty percent of a portfolio into one sector of the economy. Investments are often categorized into sectors so that similar companies can be compared relative to each other. For example, Pfizer (PFE) and Valeant (VRX) are both part of the healthcare sector. The burst of the dot-com bubble in the year 2000 hurt a lot of technology companies especially, so a diversified portfolio made up of stocks from many different sectors is essential to spread out the overall risk. Never own a stock that doesn’t pay a dividend. Once a publicly traded company becomes profitable it can choose to reward its shareholders with cash from after-tax earnings. Corporations can either reinvest their profits back into themselves, pay their shareholders cash in the form of dividends, or do a bit of both. Plowing money back into a company may not always be the best use of capital, so many companies rely on dividend distributions to bring value to their investors. Dividends decrease the risk of losing the entire value of a stock investment because dividend payments are a realization of profit. So even if the share price of a stock falls $1 every year, its investors would still see an overall gain to their investments if each company share continues to pay more than $1 per year in dividends. One area of dividend opportunity right now may be in the energy sector. O’Leary mentions that energy stocks have been beaten down due to low oil and gas prices. “Everyone hates energy,” he said. “And when that occurs, it’s very often a good time to start to creep into it. If you look back over the last 30 years, when oil has had such a massive correction, three years later it’s been one of the best investments.” But energy companies can be very volatile and are sometimes deemed to be more risky than stocks in utilities or consumer staples. So it’s good to keep in mind that long term investors generally tend to favor large cap energy stocks over smaller ones. 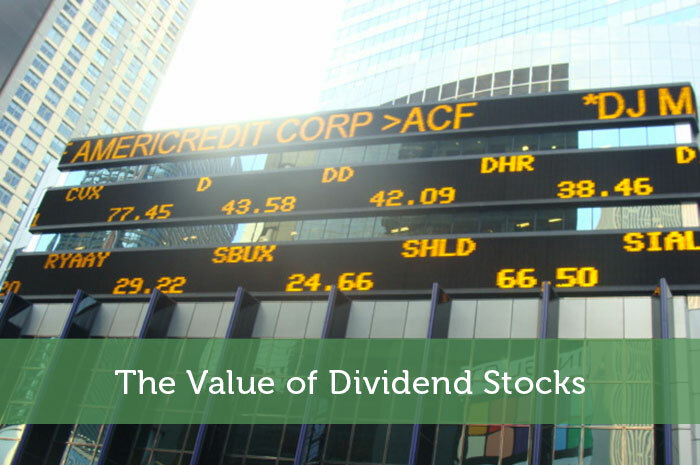 Dividend payment is an important part of analyzing a stock but it shouldn’t be the only factor. Earnings and future profitability will ultimately determine a company’s long term intrinsic value. Perhaps the best stocks are those with strong earnings, growing dividends over time, and a modest valuation. There are many different strategies when it comes to investing in the stock market. Some people prefer index investing, some prefer to buy growth stocks, and others like O’Leary gravitate towards dividend investing. Which method do you prefer? Sound advice right there, especially about being diversified. Regarding dividends though, it’s clear to me that investing only in dividend paying stock is very limiting. Besides growth is often not a priority for companies who are paying dividends. Finally, I think the days where you can rely on solid dividends regardless of the economy are over. Just like pensions are a thing of the past. If you’re looking for growth however, stock trading is by far still more rewarding. Unfortunately no real buys for me. done a few small purchases with accumulated dividends and that’s about it. I mostly prefer trading binary option.. I started trading binary options and now I am earning roughly around $5-10k monthly. I started with $1000 and have my account managed by top-binary-signals.